On Monday, the Uber announced that it will stop development of it self-driving trucks fleet in order to focus its efforts on self-driving cars. Employees who had been working in this division will be transferred to Uber’s self-driving car operation, while the company’s on-demand logistics project Uber Freight will not be affected by this decision. “We’ve decided to stop development on our self-driving truck program and move forward exclusively with cars,” said Eric Meyhofer, head of the Uber Advanced Technologies Group. 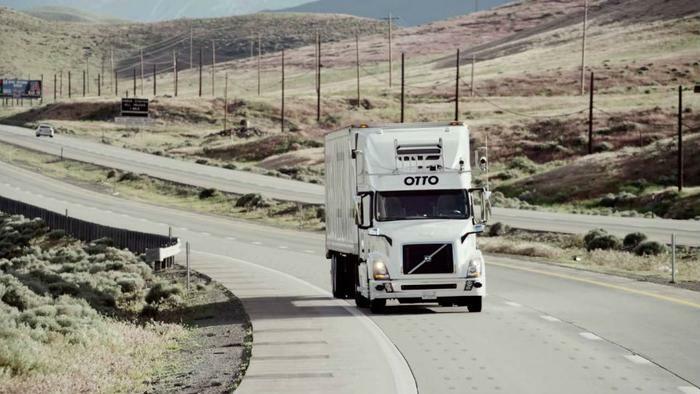 In 2016, Uber acquired the self-driving truck startup Otto, with the idea of uniting self-driving trucks and truck drivers to move freight around the country. In March, Uber began putting those trucks on the roads in Arizona, though they had been quietly testing the program in the Grand Canyon since November. “In order to provide digital services in the physical world, we must build sophisticated logistics, artificial intelligence, and robotic systems that serve and elevate humanity,” said Travis Kalanick, Uber’s then-CEO and founder. With Uber’s self-driving trucks, the automated system takes control of the vehicle’s accelerating, braking, and steering, but a driver behind the wheel monitors the driving and is ready to take over should something go wrong. Additionally, the trucks come with hardware, software, and sensors designed to detect obstacles, identify the best navigation paths, and interpret relevant signage. Nine months after Uber acquired Otto, the rideshare giant was involved in a lawsuit with Waymo, the former Google self-driving project. Waymo accused former Google engineer and Otto co-founder Anthony Levandowski of devising a plan that spilled trade secrets related to Waymo’s developing technologies, and ultimately using it to start Otto. The lawsuit alleged that Levandowski downloaded over 14,000 confidential and proprietary files before his resignation, and that he was using Waymo’s initiatives to benefit Otto -- and Uber. While Uber fired Levandowski, the two parties reached a settlement out of court. Uber Freight started in just three regions in the country, and has since expanded to cover the entire continental United States. The operation is considered a viable revenue opportunity for the company, as it nearly tripled in size, with offices in both San Francisco and Chicago.